Want to transform your holiday snaps into masterpieces on canvas? Then why not contact Superchrome? 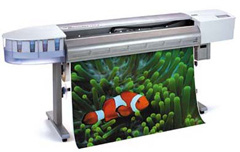 We are a leading digital printing company offering premier services to clients throughout the world. We can transform your digital camera photos, computer-generated graphic files, and traditional photographs into impressive photo art on canvas. Here at Superchrome, we can print your photos in different color combinations as well as in black and white. We make use of the latest digital printing technology to guarantee you the best quality printing services. To achieve optimum performance, we make use of pigment based inks. You can get your photo art printed on a variety of canvas materials. You can opt from water resistant canvas, fast dry matte canvas, fast dry glossy canvas, or coated cotton canvas. For durability, our canvas art prints are coated with a layer of UV resistant, clear satin glaze.s. Over the years, we have served many clients including charities, trade show organizers, museums, art galleries, designers, photographers, artists, advertising agencies, design agencies, and interior designers. Our staff here at Superchrome helps you to obtain the professional appearance according to your desire. To meet the exact needs of the customer, we can create completely customized solutions for printing photo art on canvas. We have an in house stretching and framing department to give your photo art the complete elegant look. Just send us your digital photos, images, or photo art and we will print them onto canvas at a comparatively low price. If you want to know more about canvas photo art printing service, browse through our online site. You can contact us by phone, e-mail or fax. If you would like to know more about printing photo art on canvas, any of the projects shown or if you want to discuss any project you have coming up then contact us 020 7237 9333 or fax 020 7237 9444 or email sales@superchrome.co.uk. Our experienced personnel would be able to guide you appropriately.